Not every divorce is the same. If you are considering divorce where one or more the spouses is a member of the military, your divorce may look much different than a normal divorce. Military divorce lawyers can help you decide the best divorce strategy in a situation where special military considerations are present. In a military divorce, you may have specially consider military benefits, such as insurance, personal injury and death benefits, pensions, and special considerations for child visitation. Military divorce lawyers also understand and deal with special procedural requirements during a divorce between a military couple. If you are considering divorce from your spouse and either of you is in the military, it pays to consult with a military divorce attorney before taking action. 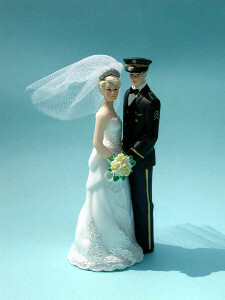 They can help you understand how military divorce works so you enjoy as smooth of a process as possible. Not just any divorce attorney will do, so make sure you hire a divorce attorney in Vancouver WA who can properly advise you on your particular case needs. A legal separation might be appropriate for a military couple going through a break up. In legal separation, both spouses can continue to enjoy military benefits that would otherwise go away in a military divorce. Legal separations aren’t always the best option, because they can carry some downsides as well. However, in some cases the parties may agree that a legal separation better suits their continuing needs than a military divorce. A family law attorney at Priest & Ellis can help you understand legal separation between military couples, including its upsides and downsides. If you are considering divorce and are in a military marriage, we offer an affordable flat-rate divorce consultation for $200. We can help you understand the process start to finish and answer any particular questions regarding military divorce so you can make the best decisions possible moving forward. We can help you decide whether your goals are attainable and help you build a strategy that works best for your particular case. Whether your case is a simple one of dividing assets or whether child custody is involved, we have the experience to help your divorce go as smoothly as possible. We have the collaborative skills and courtroom knowledge to be able handle both friendly and contentious cases. Call today to schedule your no-obligations consultation today.